The success of a program doesn't happen overnight. 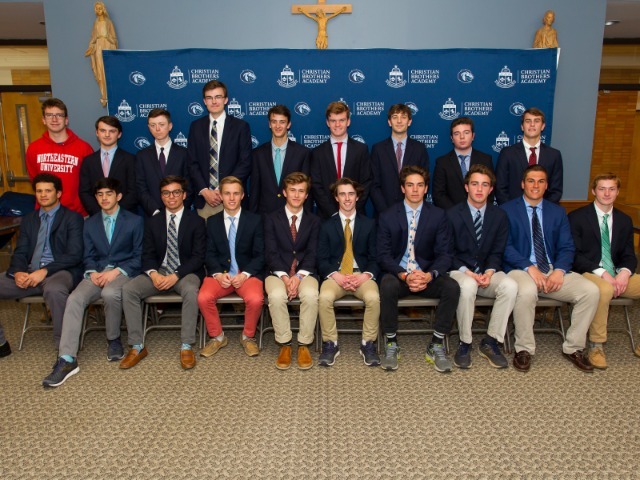 A little over eight years ago, a fencing team was simply a student's dream at CBA. 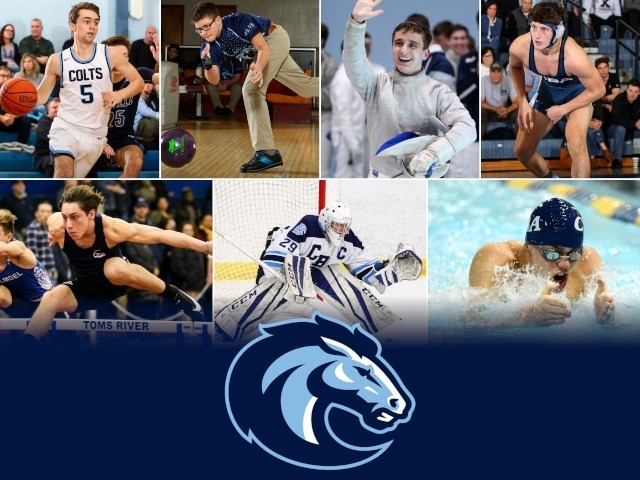 Two years later, fencing was given the green light as a new varsity sport, with CBA administrators seeing the growth of the sport in the state. Five years ago, the varsity fencing team, still in its infancy, finished 43rd out of 50 teams at the 2013 Cetrulo Tournament. Now in 2018, Christian Brothers Academy stands as the overall champions of the 50-team Cetrulo Tournament. 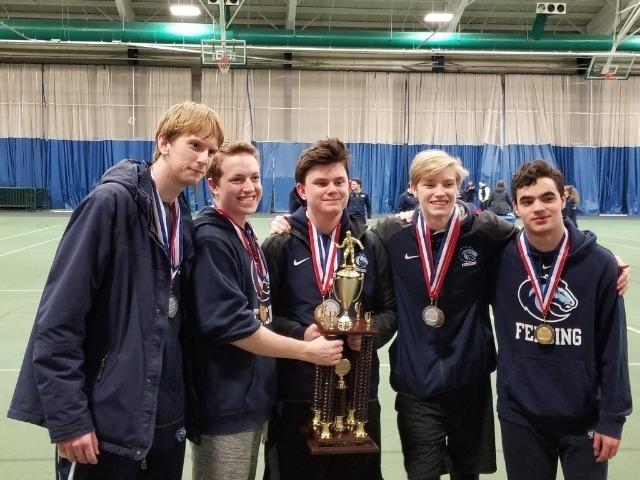 The fencing team won the tournament this past Saturday at Drew University, upsetting Columbia High School of Maplewood's bid for a sixth consecutive title. The Colts finished second in both the epee and foil divisions and sixth in the sabre division, accounting for CBA's 10 points to Columbia's 15 in the team standings. 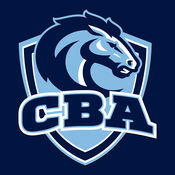 CBA was led by senior captain Tom Gana, who posted a 13-1 record in the tournament. Senior Ryan Hagan, junior Chris Bonin and sophomore Christopher Drew rounded out the lineup for the second-place epee squad. As for the foil squad, they produced one of the biggest upsets of the tournament. Juniors Peter Ferraro and Tom Tsimbinos and senior Ken Skelton combined to beat the two-time defending foil winners Ridge High School in the final eight round. Both Tsimbinos and Skleton went undefeated in the final eight. Freshman John Morreale had his first taste of the Cetrulo Tournament and fared extremely well, adding 12 victories to help his saber squad into the final eight. Seniors Mike Hennicke and Josh Grano, who both earned their "D" ratings in saber recently, completed the saber squad. "If you ever want to pick a day in the season to fence your best, this was it and they did it," head coach Mary Mottola said. "It all comes down to the depth of the team, but we were led by a Cetrulo veteran Tom Gana, who is our only 'A'-rated fencer and had an exceptional day." 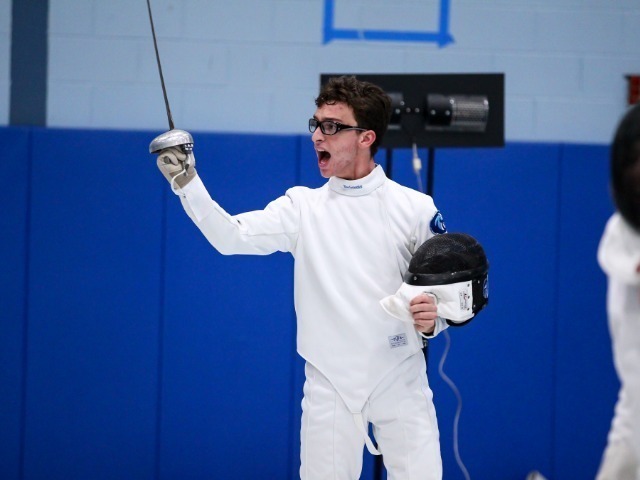 Organized and overseen by the New Jersey Interscholastic Fencing Association (NJIFA), the Cetrulo Tournament is one of the oldest athletic events in the country and is a marquee event on New Jersey’s fencing calendar. Fencing teams from across the state travel to this event, with this year's tournament marking its 89th anniversary. The victory marks the culmination of building out the program, with Mottola as the architect. After finishing 43rd in 2013, Christian Brothers was 41st in 2014, 37th in 2015, 17th in 2016, and then 4th overall last year. "In the early years, most of our team was comprised of boys just learning to fence as freshman with a few exceptions," Mottola said. "The exceptions were great fencers, but we didn't have the depth needed to go the distance. Fast forward to this year, we have five seniors who have fenced since they were freshmen, two of which were fencing before entering CBA. We used to have just a few rated fencers on the team, but currently all of our starters are rated and fence in the off-season." Mottola likens the Cetrulo Tournament to a marathon, with grueling hours of play weeding out the inexperienced teams. After last year's fourth place finish, she felt confident that the Colts' experience would help this year. "The boys fight in the first round to make it into the final eight pool, and that on its own is physically and mentally draining," Mottola said. "We now know that once we into the top eight, the competition will be much more difficult. Our readiness makes it easier to get through those tough teams. The only way to succeed in this type of tournament is having the previous year's experience to draw on." As the only 'A'-rated fencer on the team, Gana is the de-facto leader and shows it with his excellent play. He has been an integral part of the team's success over the past three seasons, and credits the Cetrulo victory to a veteran mindset. "I think a lot of our growth over the past four years has to do with us no longer thinking of ourselves as a beginner program," Gana said. 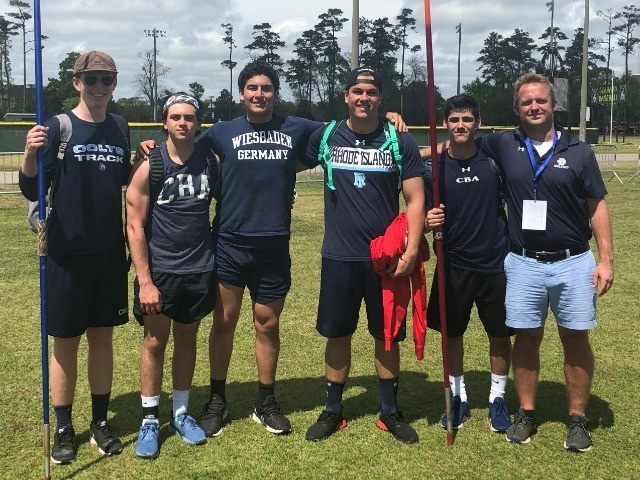 "After winning the Epee District Championship the last two years and the Overall District Championship last year, our team knows that we can be among the best in the State. I had great mentors when I got here as a freshman, and the new athletes coming in have even more experienced mentors." Gana, along with both Hennicke and Grano, have impressed Mottola with their upperclassmen leadership over the past two seasons. She credits much of the team's success to the dedication of the athletes on the team. The steady growth of the varsity team has been evident over the past few years. Last winter, CBA was crowned NJSIAA District 3 Champions for the first time, as the Colts won their section within the squad state tournament. All three squads advanced to the 2017 overall squad state tournament for the first time as well. Mottola was named NJIFA Coach of the Year for CBA's success in 2017. "Coach Mary has done an incredible job building the program," Gana said. "She knows we cannot win with just one strong weapon or a couple of top fencers. It takes all three weapons and a deep bench. She has always focused on building the whole roster and that's what has made us a championship team." Now, Mottola and the Colts turn their attention to the district and state tournaments once again. The District 3 Championship will take place next Sunday, before the state tournaments open in February. If their progress at the Cetrulo is any indication, expect CBA to pick up a few more wins at this year's state tournament.